Episcopal. 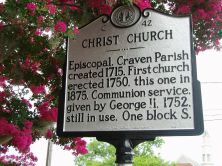 Craven Parish created 1715. 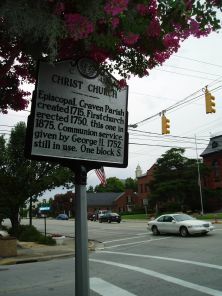 First Church erected 1750, this one in 1875. Communion service, given by George II, 1752, still in use. One block S.